I see my future bank balance going down with every post! Love the new stuff coming out. Very nice Christmas images. I'll have to let my friend know about the great tickets stamps, she has his sizzix ticket die border, would assume these stamps will fit in the diecuts. 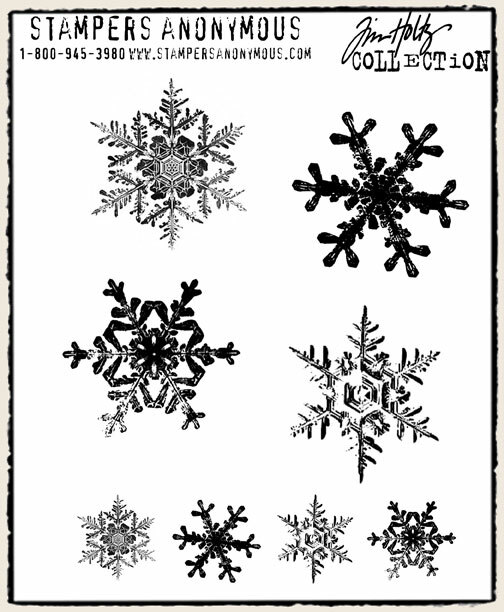 Really liking this release . . tix, snowflakes, YAY! 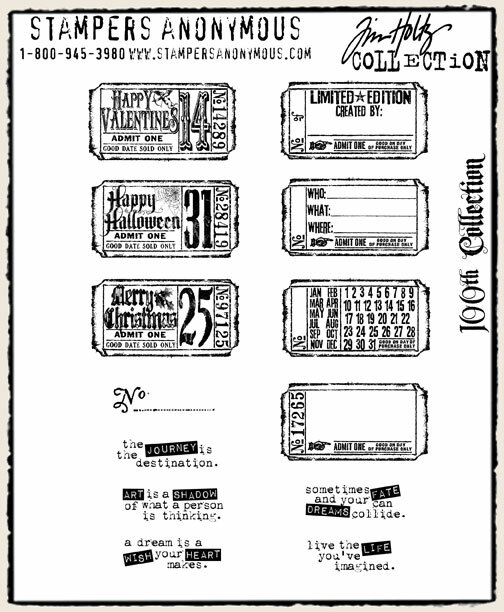 These look so fun--I really like the song stamps! 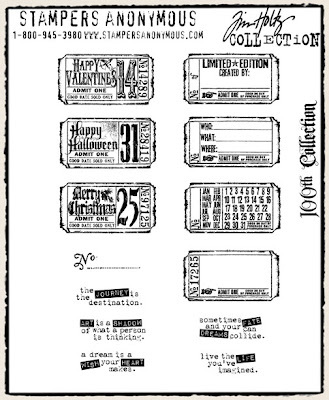 Love the ticket stamps from Tim Holtz. Gotta get the die to match before you can't get them anymore. Thanks for sharing. 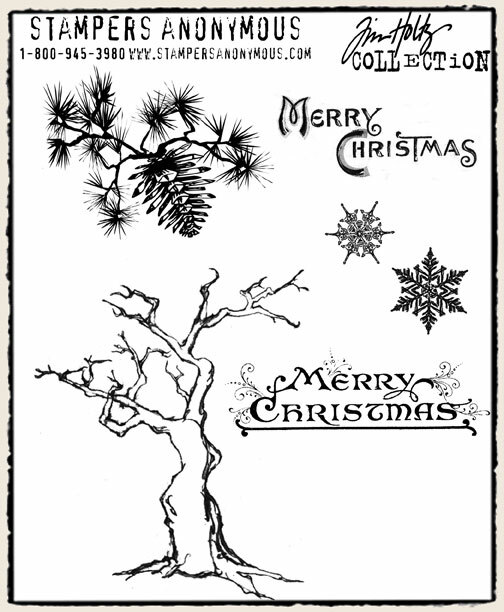 Love all the Tim Holtz Christmas stamps! Bet he uses these on his "Christmas Tags" this year. 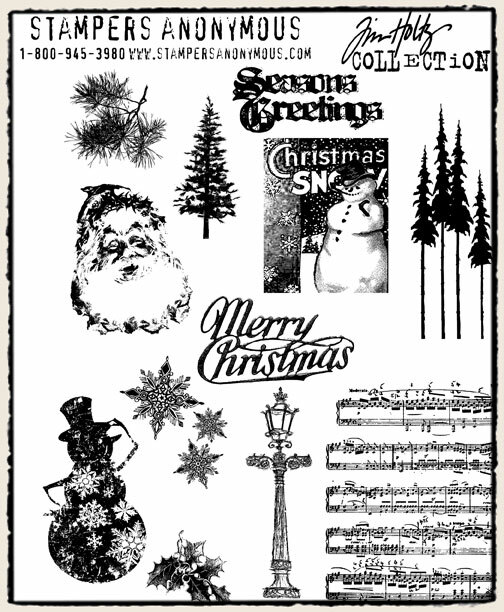 I really like the snow flakes and would LOVE to get my hands on that music sheet stamp! 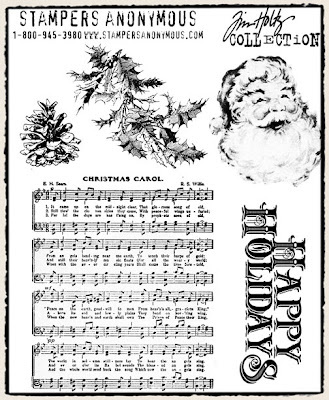 I like the sheet music and tickets stamps for sure!